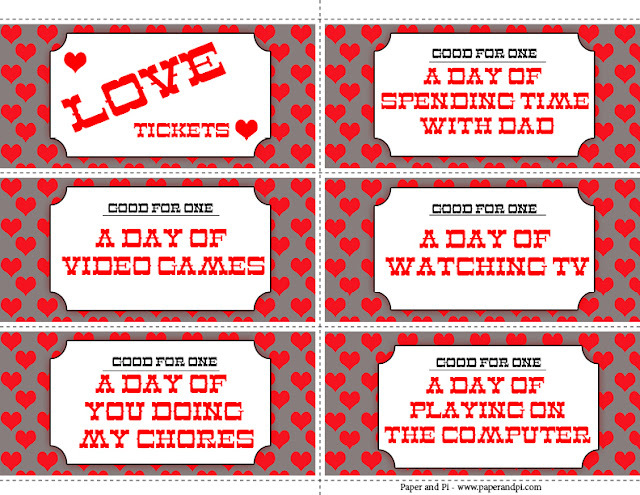 Addison has mentioned that Dad should get his own Love Tickets. I wonder what JT is going to come up with. Well here are Addison's love tickets. Perfect for any boy on Valentine's Day.